Trade Promotions Management | Demand Planning | Golden Orb Ltd DC Innovator Award winner! Running effective trade promotions is essential to success in today’s FMCG marketplace, accounting for around half of total marketing spend. 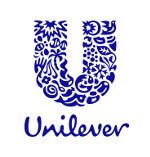 For Unilever UK, we developed a system to allow account managers to design and plan promotions, monitor them as they happened and conduct pre- and post-evaluation of their effectiveness and Return on Investment (ROI). With the ability to phase promotional sales over time and links to financial and other systems, the system reported expected weekly sales over a year in advance, including a complete profit and loss account from total sales down to gross profit. Every weekend, as new sales and baseline information was loaded, the system recalculated the forecast sales for all planned promotions which were based on a fixed uplift or incremental volume, and realculate a weekly profit and loss account, from individual promotion up to total company level. As well as inbound feeds from other systems, the tool also generated outputs to other systems, such as SAP APO (incremental sales volume) and Oracle Financial Analyzer (financial forecasts). The detailed database of promotional information and actual sales volumes stretching back many years also represents a huge source of competitive advantage by allowing evaluation of past promotional effectiveness to optimise future planning.